Will Delivery To Gate Add Value? There has been much discussion recently on how digital solutions can help drive growth within Travel Retail. In particular, the solution at Fraport where people can buy online and have the product delivered to their gate. Wonderful idea but in practice, a major challenge. I was a commercial analyst at a major retailer when the Liquids And Gels ban looked like all products bought in stores would then need to be purchased in store delivered to gate for collection. The findings of the analysis struck fear into the retailer. In short, the business (and all other retailers in the channel) would have imploded. It just wasn’t practical AND it was expensive. Very expensive. Are We Inheriting Amazons Problem? If we look outside Travel Retail for a moment, delivery is a massive problem. Amazon refer to the ‘Final Mile’ as the most expensive part of its distribution. It is widely known that Amazon is a super low profit business as it focuses on growth and reach. It isn’t just Amazon that has this problem. Food delivery from the grocers have led to the introduction of delivery charges. Even the much revered John Lewis (a UK department store famous for its “never knowingly undersold” approach to pricing) has had to place delivery fees on anything under £50 as it was unsustainable to offer free delivery. Even ‘Click and Collect’ you now need to pay a £2 fee for anything under £30. So, it is clear that getting goods to the shopper isn’t cheap. Let us take a moment to consider the implications on Travel Retail. A shopper buys a £30 bottle of perfume online on the way to the airport and expects it to be delivered to gate. NB – Margins and Concession Fee percentages are fictitious and may vary. Taxes etc have been excluded from this example. This is for context purposes only. How Big A Risk Is Cannibalisation? Some might say that we should be thinking about the extra business it will bring in. Well, that is true. The big question to really consider is incrementality. How much NEW business would delivery to gate bring? What if some (or all the shoppers) were going to buy anyway? This means that a delivery to gate is actually costing you money to offer that service. What if the purchase was for something of lower value? That actual cost to distribute would exceed the margin generated. The proportion that these groups are in will determine the profitability of Delivery To Gate. How many runners to you need to support this? Will it create additional congestion? How will the shopper be identified at the gate? How will passengers feel? Anxious? Unsettled? Will the airline manage the distribution on board? if so, how much will that cost? Another solution that has been aired is that products might be distributed in the same way as baggage. The issue that instantly springs to mind is breakages. Imagine a nice bottle of scotch gets smashed and other people’s luggage ends up smelling of alcohol. What about theft? This opens a huge opportunity for product to “go missing’. It has been well documented that digital has its limitations when it comes to product selection. It is easier for the shopper to stand in front of a fixture and make a selection than it is scrolling through products on a screen. Shopping in store also enables impulse shopping and can increase the chances of cross category purchasing. As a final indicator, I will touch on satellite stores. These are stores that are out at the gate, at the end of piers etc. These stores are often forced upon retailers to set up and run. When you look at individual store profitability, these store normally run at a cost for the retailers. It is more of a service to passengers than a commercial proposition. The cost to run the store is greater than the profit generated. Even when the satellite store stocks the key lines, they never do much in the way of business. 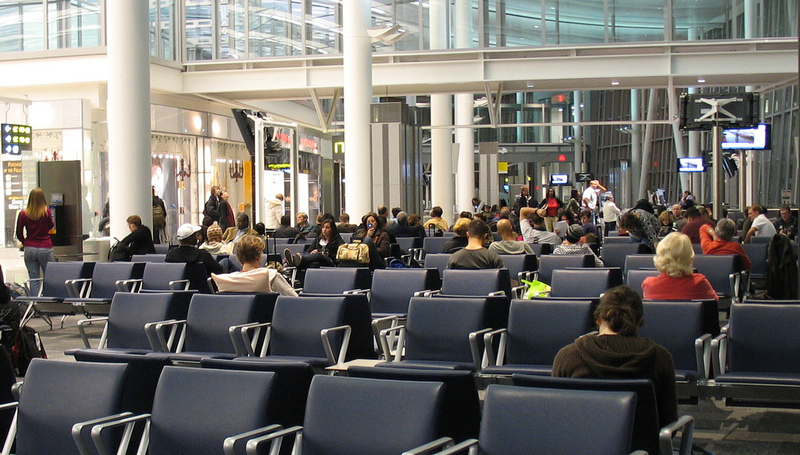 Passengers focus tends to shift towards getting on the plane rather than shop. Even impulsive shopping is very low. The only stores that appear to be busy in satellite locations are the stores like Relay or WH Smiths where people are getting last minute magazines, papers, water etc. With costs already being cut at the moment, better margins are likely to be sought from brands. Concession fee’s are unlikely to be reduced as this is the retailer’s choice. At the end of the day, the case for pre-order and delivery to gate has yet to be proved conclusively with specific numbers. The increased focus on pre-order is likely to drive shoppers to do price comparisons with Amazon and other providers. If the Travel Retail offer is not good enough (like the bottle of perfume Jill was going to buy that was £25 cheaper on Amazon), the sale will be lost. Under the existing way of operating in Travel Retail, the opportunity of pre-order and delivery to gate could end up becoming a channel killer. Whatever happens, more costs being introduced to the value chain will need to be passed on to the shopper or the brands. Given pricing pressures for shoppers right now, brands may be the most likely to foot the bill. I welcome your thoughts on this. As ever, thank you for reading and sharing. NextWant Wi-Fi Passwords For Airports Around The World?